Running a detailing business can be a great way to turn your passion for cleaning and working on cars into a source of income. When done properly, automotive detailing is a high margin business. Here are some very simple ways to grow your bottom line without a lot of extra work. Detailers often forget that they are not just in the service business, they are also salesmen. Your customers will rely on your expertise and look to you for recommendations on how they should have their vehicle serviced. An initial consultation or inspection is a great opportunity to get your customer excited about what you can do for their car. First and foremost, setup a game plan to tackle whatever concerns they have that brought them to you in the first place, and once you have those core services settled on, make sure they are aware of other supplemental services that can benefit them. The art of sales is something that takes time and practice, but it can lead to very lucrative results. 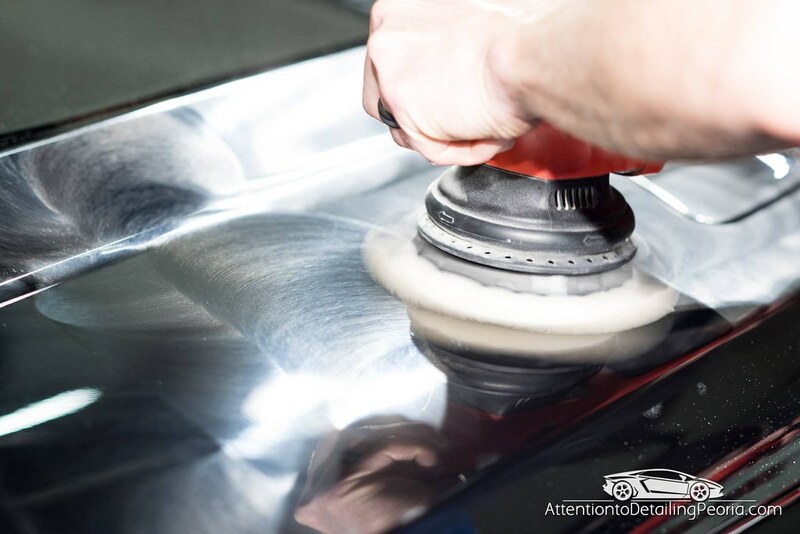 Services such as interior cleaning, shampooing of carpets, and engine bay cleaning are easy add-ons that most customers are already very familiar with, however not everyone is familiar with the wide variety of nano-coatings that are now available, and these types of products have created a HUGE opportunity for additional sales. 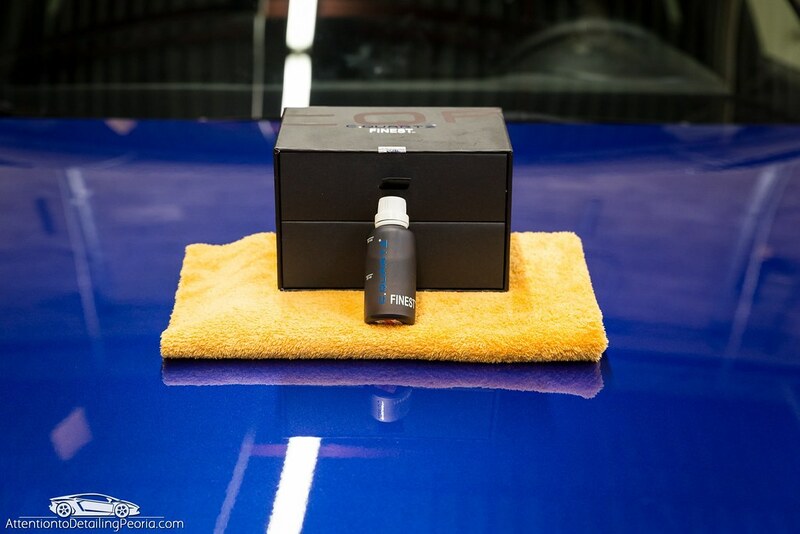 If a customer comes to you seeking paint correction work, it should be second nature to sell them on the opportunity to help preserve their newly refined paint with a premium paint coating or clear bra. Use that conversation to lead into the benefits of a wheel coating to simplify wheel cleaning, or a glass coating to enhance visibility in the rain, or leather coating to make sure the kids don’t ruin the brand new leather seats. When you have the knowledge and confidence to give a solid sales pitch and explain the real world benefits of what you are proposing, you can easily add hundreds of dollars to your bottom line for each service. I have never been a fan of discounting my services. If you are struggling to close a sale, I feel it is more beneficial to offer a free add-on service rather than reduce the cost of your time and labor. Say, for instance, you have a customer who is considering a multi-step paint correction job for his vehicle, but he isn’t sure he wants to spend four figures on a detailing job. Rather than reducing the price of my service, I would simply offer an additional service free of charge. I might offer to coat the faces of the wheels as an extra incentive for them to book the appointment on the spot. A wheel coating service may be advertised as a $150 add on, so the customer will see it as a $150 for free, but in the grand scheme of things, the product cost is likely less than $15 and the time required is very little. This is a win-win situation. Your customer is happy to be receiving something extra, you collect the full value for your initial work, and you are only sacrificing a small amount of product cost and labor. In my opinion, you don’t want to be the guy that is known for giving discounts, otherwise everyone will start asking for them, and that is just taking money right out of your pocket. Most full-time detailing professionals are already aware of how to source their products through various suppliers at costs that are well below the retail prices, but there are a lot of part-time professional detailers (I’m talking to you Mr. Weekend Warrior) that either do not know about, or do not think they qualify for, wholesale discounts. There are wholesale opportunities from almost every retailer. Most of the time, you just have to ask! You may be required to fulfill minimum order amounts to meet the wholesale requirements, or pay for a membership to a wholesale club, but sometimes you simply qualify for discounts just for owning a business. Always contact a retailer and see if they have a wholesale program for professionals. You can maximize your savings by buying larger quantities, such as bulk sized gallon containers rather than 16 oz bottles, of commonly used items at wholesale costs. Lower product costs mean higher margins, and higher margins mean more money in your pocket! Detailed Image has a great wholesale program that has helped me save thousands over the years. Their program requires annual minimum purchases of just $500 to qualify. Even if you’re just a part-timer, you will likely go over that $500 mark by a long shot. The DI program features a tiered approach where the more you spend with them each year, the more you save. Check it out on their website. If you’re like me, you spend a lot of time on car forums… I mean uhh, working. What if I told you that you could earn money for posting links on those forums? Well it is the truth! Affiliate programs are designed to help promote sales for certain retailers by posting links to their products, and as a result of your hard work of browsing forums and posting links, you earn a commission! These programs exist all over the place, including many of the largest retailers. Detailed Image has your back here as well. They offer a great affiliate program, so when you are answering questions in an automobile forum about detailing, you can post your affiliate links to products that you like to use, and you can earn some extra cash. The best part is that these links exist on that post you just made forever, so 10 years later, people can still click on that link, make a purchase at DI and earn you money! Make sure you’re getting the most out of your business by maximizing your sales potential, minimizing your costs, and generating some passive income. If you have other tips for business success, please share them in the comments below! I was just reading your article and you bought attention to not lowering your prices. Would you say if you are a startup company that is trying to get a foot print in your area would you say it’s OK to lower prices when trying to land some work. Hi Tim – This is 100% your call, in the end, do what you need to do to get business and keep yourself afloat. In my mind, being priced properly is sometimes the issue. If there are other shops in your area who are doing the same type of work that you are selling, make sure you are not pricing yourself out of the market by being too high, but you also do not want to undercut other shops considerably to try to gain business as that may have a detrimental effect on the entire area by forcing others to then lower their prices to compete and in the end everyone makes less money. If you happened to have read my 4 part article series about my journey of starting and growing my business, I mentioned that when I was starting out I charged next to nothing for my work as I still mostly considered it a hobby, but as demand grew, so did my prices (quite drastically as a matter of fact). If you feel your prices are appropriate for your market and you are not getting the business you need, promotions/discounts to try to capture someone’s attention are certainly better than not getting the work at all. Again, do what you need to do to keep your head above water, but don’t undersell your services and cut your profit margins if there is demand for your work.